Sawadee ka. We just love the spice and tangy flavours of Thai food so having affordable Thai food that is conveniently located is on the wish list of many Singaporeans and tourists alike. Perennial favourites like Pad Thai, Green Curry Chicken, Tom Yam Seafood are what gets us all excited. At Food Republic Singapore, we have 2 major Thai operators in more than 10 of our outlets island wide. Bangkok Gem Thai Cuisine serves up delectable Thai dishes that everyone has come to love about Bangkok street cuisine. 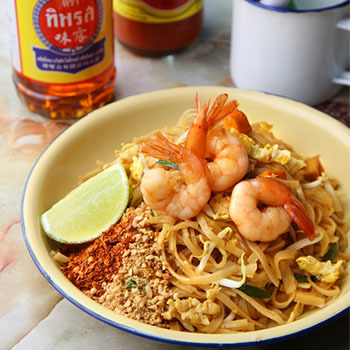 From popular dishes like their Basil Chicken Rice, Green Curry Chicken and Phad Thai With Prawns, to Pad Woon Sen and Phad Thai, the dishes are a definite must-try if you’re having that Thai food craving.